In our writing workstation I've found over the years that the more choices they have the more appealing the workstation is. 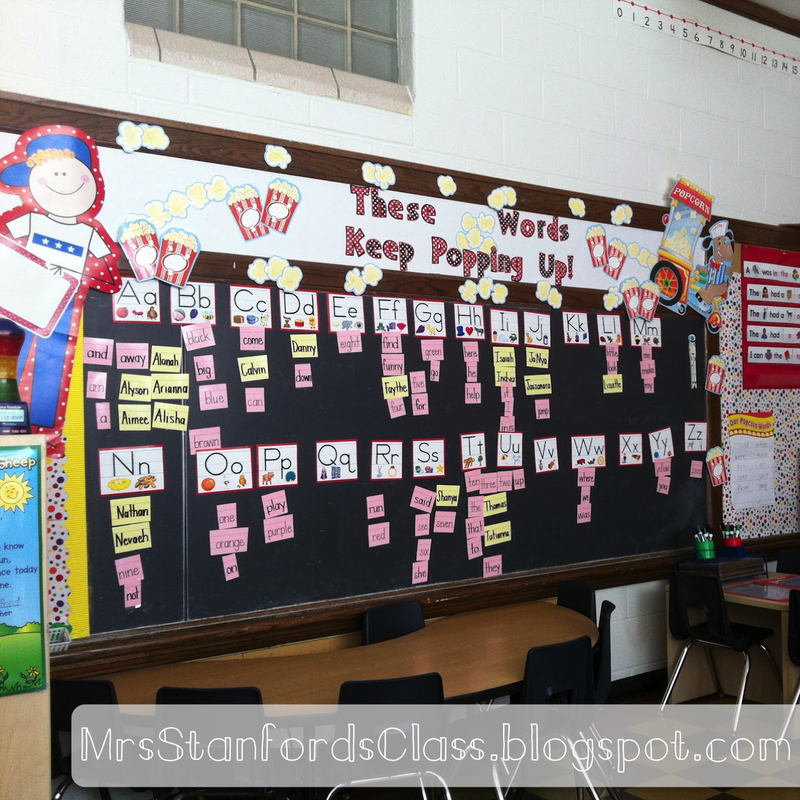 As you can see my word wall is located in close proximity and the words are magnetic so that the students can manipulate it! My students also have access to dry erase boards, sight word pockets, sight word sentences, and their words of the week that I use from my sight word mastery set on TpT. 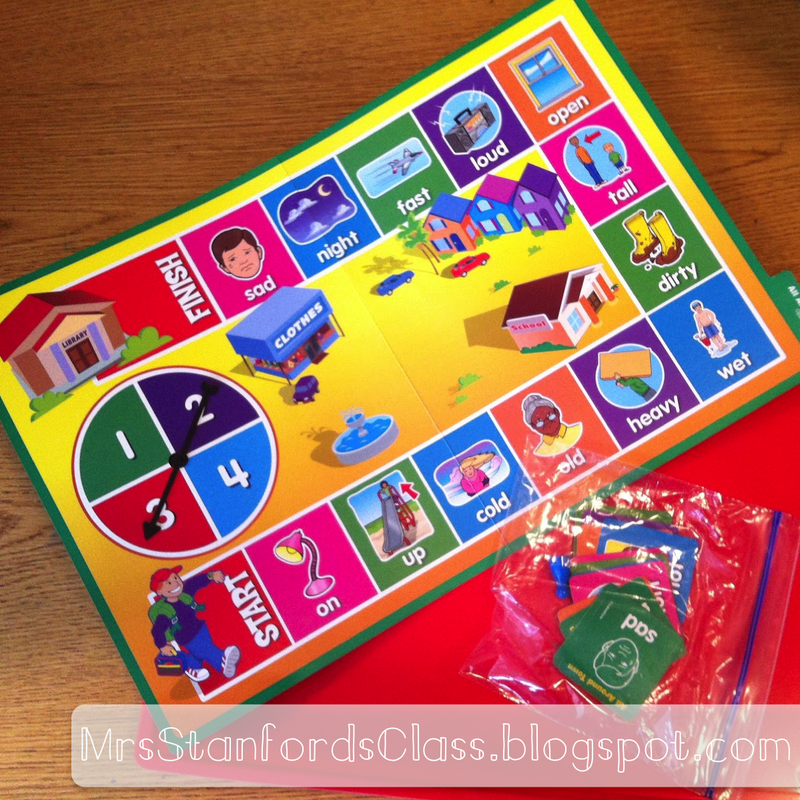 Growing up I remember owning many different tools that made reading fun and when I started teaching I wanted to do just that for my students. I do have to say that this may be one of my favorites. Our class has 6 tag readers to use at their seats. When the students take a case to their seats they open it up to find a variety of books at different levels. The students love using the tag readers to help them read, to ask them questions, and to build their comprehension skills. My students have file folder games sorted by subject area and level. 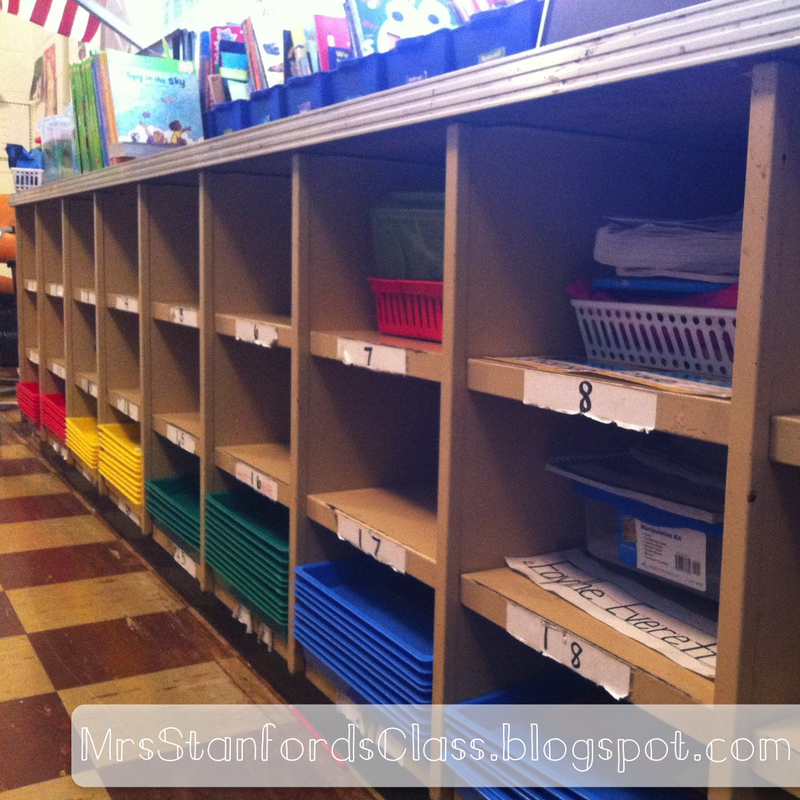 Students are invited to take a tray to their seat when they have completed their work or have a spare moment. Each tray has one single player file folder game. Using the trays not only organizes the file folders in an easy stackable way, but it has increased their longevity. Last but not least, I'd like to introduce you to my all time favorite workstation! Signing Time! My students absolutely adore this station and have learned so much from it. I apologize for the ugly cart.... Any suggestions on cutie-fying it?? I'm loving your blog :) Where did you get those cases for your tag readers? I've requested some on Donor's Choose, and would love to get some cases like that for them! I assume they don't come with them? Thank you both for stopping by! Katie Rose the cases definitely don't come with them... I wish they did!! 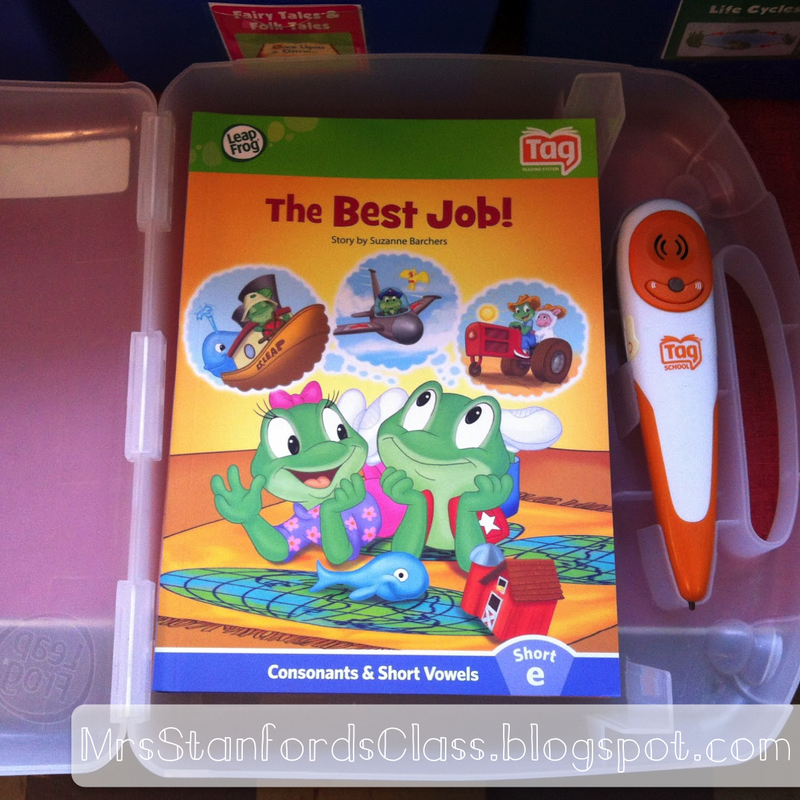 Tag Storage Cases are from Teacher's School Supply Inc. and definitely worth getting! If you have any questions just e-mail me! Pin a piece of fabric to cover the front. I use fabric on my shelving and bulletin boards as well. Beats stapling holes, fading and changing out yr to yr :). Awesome ideas everywhere btw!! Those TAG readers are really cool! I'll have to look into doing a DC for it. In terms of that cart, one way to add fabric all the way around it, but still make the fabric easily lifted to access what's underneath is to adhere an adhesive velcro strip all around the top of it, then adhere or sew a corresponding velcro strip to the top inside border of your fabric, then velcro the fabric onto the cart and allow it to hang down the length of it, all the way around. Does that make sense? Then you can easily lift the fabric to gain access and easily remove it to be washed if necessary. 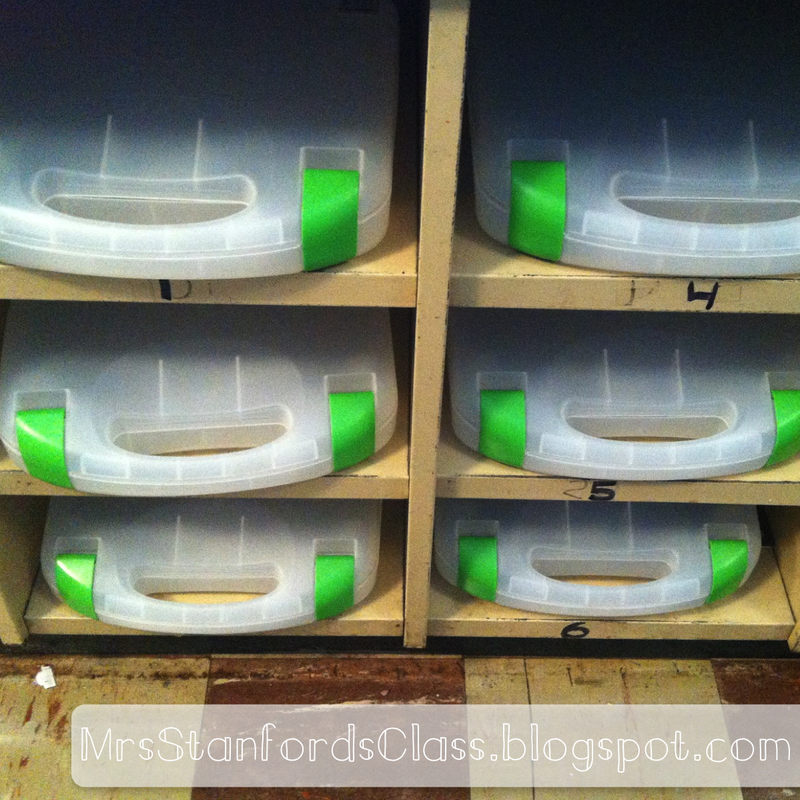 Another option is to paint your cart and use storage bins or baskets to hold the items it carries. Love your workstations! I especially love the Signing Time station! My son has Autism and learned how to sign using Signing Times. 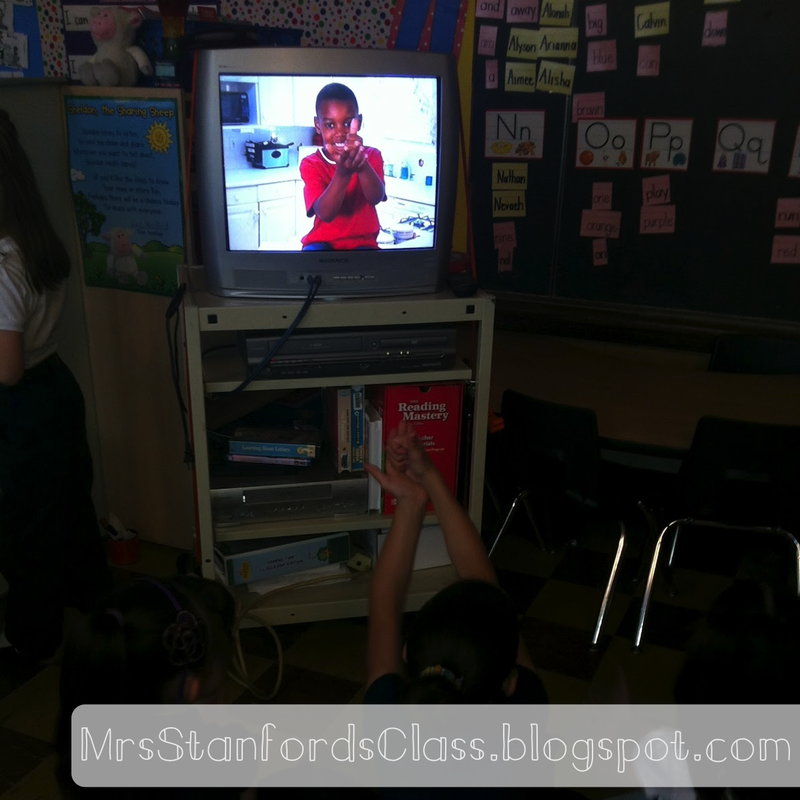 I have shared some videos with my class this year and the students love them. I wish I could make it a station! I just discovered yours and I love your stations. I wish I had a TV in my classroom. Cool! Hello! I am your newest follower! I am curious as to where you found all the single player file folder games. Are they from a book or online? I have a few to use in my classroom but they lose their "fun" after awhile. Thanks!! I know that others will benefit from your approach + I hope that you have new readers as a result.